Place a piece of green (or other color) construction paper over a plate half and trace. Cut out. 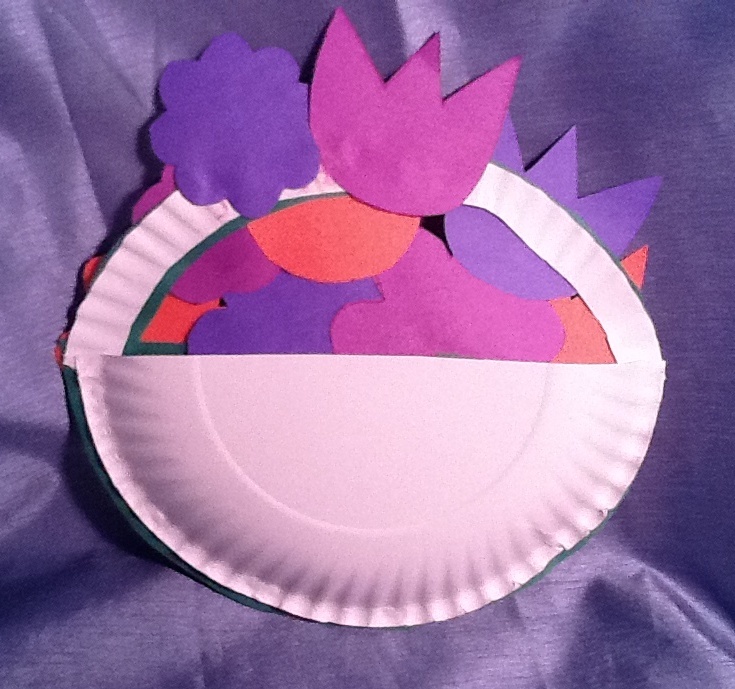 Glue piece of construction paper onto plate, just around the edges and bottom. Leave the top open so it forms pocket. 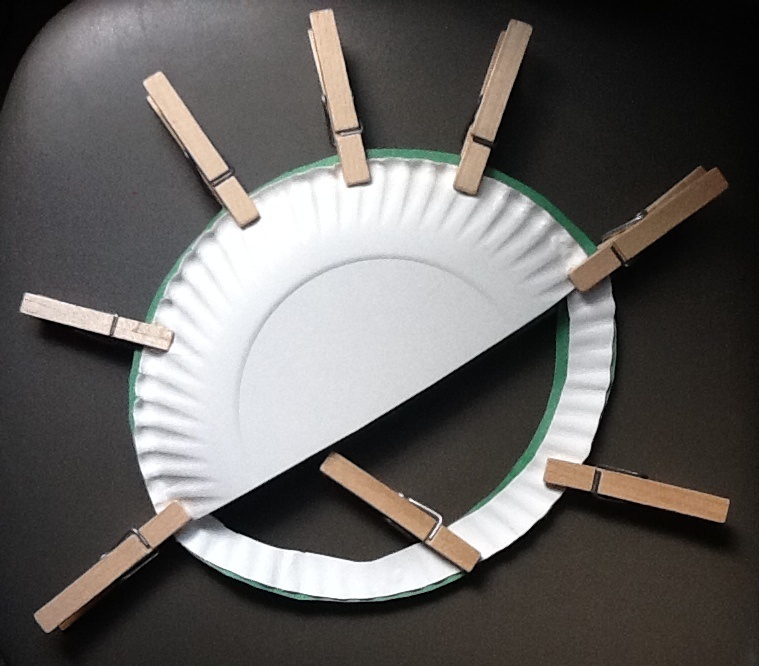 I used the clothespins to hold the paper in place while it dried. Cut out a handle from the other half of the paper plate. Trace handle shape on construction paper, cut out, and glue to paper plate handle. 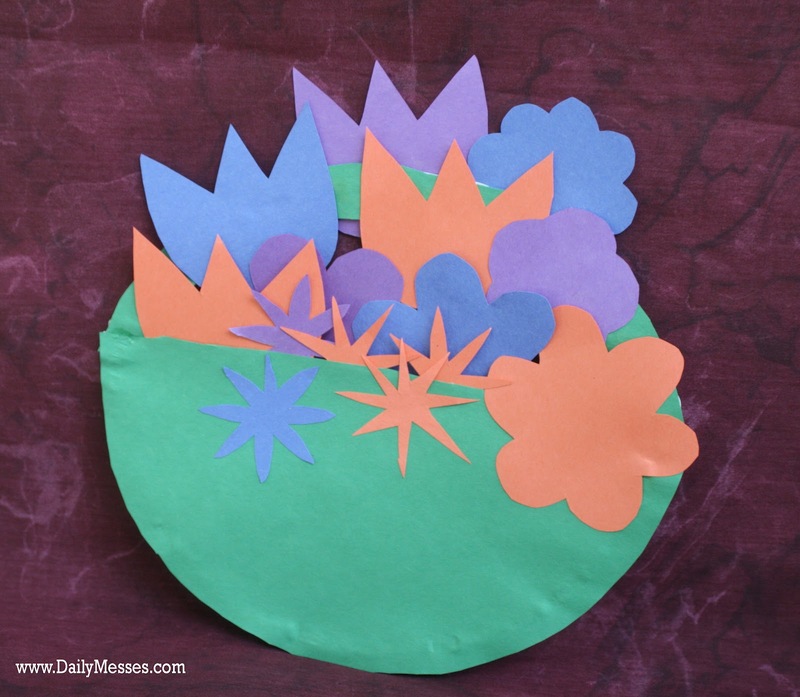 Cut out flower shapes and glue around the inside and outside of the basket.